Researcher of Political Science & Classical Islam. Initiated by the Khwajagan i-Naqshband. On 27th June 1916 Sharif Hussein bin Ali, Emir of Mecca, issued a proclamation in which he announced himself, as a direct descendant of the Prophet Mohammed, as the true leader of the faithful. According to The Times, Mehmed VI (the last Ottoman sultan and penultimate Ottoman caliph) sent a telegraph of support to Hussein when he proclaimed himself caliph. 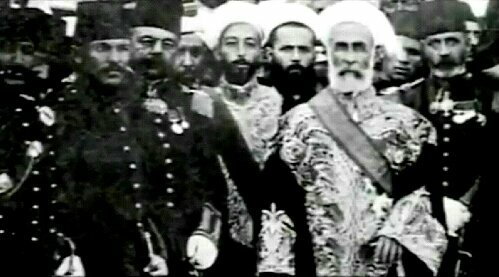 Hussein’s objective in initiating the Great Arab Revolt was to establish a single independent and unified Arab state stretching from Aleppo (Syria) to Aden (Yemen), based on the ancient traditions and culture of the Arab people, the upholding of Islamic ideals and the full protection and inclusion of ethnic religious minorities. Reproduced below is the text of King Hussein’s 27th June 1916 proclamation. It is well known that of all the Moslem Rulers and Emirs, the Emirs of Mecca, the Favoured City, were the first to recognize the Turkish Government. This they did in order to unite Moslem opinion and firmly establish their community, knowing that the great Ottoman Sultans (may the dust of their tombs be blessed and may Paradise be their abode) were acting in accordance with the Book of God and the Sunna of his Prophet (prayers be unto him) and were zealous to enforce the ordinances of both these authorities. With this noble end in view the Emirs before mentioned observe those ordinances unceasingly. I myself, protecting the honour of the State, caused Arabs to rise against their fellow Arabs in the year 1327 [1909 of the Christian era] in order to raise the siege of Abha, and in the following year a similar movement was carried out under the leadership of one of my sons, as is well known. 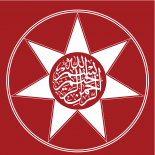 The Emirs continued to support the Ottoman State until the Society of Union and Progress appeared in the State and proceeded to take over the administration thereof and all its affairs. The result of this new administration was that the State suffered a loss of territory which quite destroyed its prestige, as the whole world knows, was plunged into the horrors of war and brought to its present perilous position, as is patent to all. This was all done for certain well-known ends, which our feelings forbid to dilate upon. They caused Moslem hearts to ache with grief for the Empire of Islam, for the destruction of the remaining inhabitants of her provinces – Moslem as well as non-Moslem – some of them hanged or otherwise done to death, others driven into exile. Add to this the losses they have sustained through the war in their persons and property, the latter especially in the Holy Land as is briefly demonstrated by the fact that in that quarter the general stress compelled even the middle classes to sell the doors of their houses, their cupboards and the wood from their ceilings, after selling all their belongings to keep life in their bodies. All this evidently did not fulfil the designs of the Society of Union and Progress. They proceeded next to sever the essential bond between the Ottoman Sultanate and the whole Moslem community, to wit, adherence to the Koran and the Sunna. One of the Constantinople newspapers, called Al-Ijtihad, actually published an article maligning (God forgive us) the life of the Prophet (on whom be the prayer and peace of God), and this under the eye of the Grand Vizier of the Ottoman Empire and its Sheikh of Islam, and all the Ulema, ministers and nobles. It adds to this impiety by denying the word of God, “The male shall receive two portions,” and decides that they shall share equally under the law of inheritance. It has put forth other innovations touching the fundamental laws of Islam (of which the penalties for infringement are well known) after destroying the Sultan’s power, robbing him even of the right to choose the chief of his Imperial Cabinet or the private minister of his august person, and breaking the constitution of the Caliphate of which Moslems demand the observance. In spite of all, we have accepted these innovations in order to give no cause for dissension and schism. But at last the veil was removed and it became apparent that the Empire was in the hands of Enver Pasha, Djemal Pasha and Talaat Bey, who were administering it just as they liked and treating it according to their own sweet will. The most striking proof of this is the notice lately sent to the Kadi of the Tribunal at Mecca, to the effect that he must deliver judgment solely on evidence written down in his presence in court and must not consider any evidence written down by Moslems among themselves, thus ignoring the verse in the Surat-al-Baqara. Another proof is that they caused to be hanged at one time 21 eminent and cultured Moslems and Arabs of distinction, in addition to those they had previously put to death – the Emir Omar el-Jazairi, the Emir Arif esh-Shihabi, Shefik Bey el-Moayyad, Shukri Bey elAsali, Abd el-Wahab, Taufk Bey el-Baset, Abd el-Hamid elZahrawi, Abd el-Ghani el-Arisi, and their companions, who are well-known men. Cruel-hearted men could not easily bring themselves to destroy so many lives at one blow, even if they were as beasts of the field. We might hear their excuse and grant them pardon for killing those worthy men, but how can we excuse them for banishing under such pitiful and heart-breaking circumstances the innocent families of their victims – infants, delicate women and aged men – and inflicting on them other forms of suffering in addition to the agonies they had already endured in the death of those who were the support of their homes? God says, “No burdened soul shall bear the burden of another.” Even if we could let all this pass, how is it possible we can forgive them confiscating the property and money of those people after bereaving them of their clear ones? Try to suppose we closed our eyes to this, also feeling that they might have some excuse on their side; could we ever forgive them desecrating the grave of that pious, zealous and godly man the Sherif Abd el-Kadir el-Jazairi el-Ilasani? The above is a brief account of their doings, and we leave humanity at large and Moslems in particular to give their verdict. We have sufficient proof of how they regard the religion and the Arab people in the fact that they shelled the Ancient House, the Temple of the Divine Unity, of which it is said in the word of God, “Purify my House for those that pass round it,” the Kibla of Mohammedans, the Kaaba of believers in the Unity, firing two shells at it from their big guns when the country rose to demand its independence. One fell about a yard and a half above the Black Stone and the other three yards from it. The covering of the Kaaba was set in a blaze. Thousands of Moslems rushed up with shouts of alarm and despair to extinguish the flames. To reach the fire they were compelled to open the door of the building and climb on to the roof. The enemy fired a third shell at the Makam Ibrahim in addition to the projectiles and bullets aimed at the rest of the building. Every day three or four people in the building itself were killed, and at last it became difficult for the Moslems to approach the Kaaba at all. We leave the whole Mohammedan world from East to West to pass judgment on this contempt and profanation of the Sacred House. But we are determined not to leave our religious and national rights as a plaything in the hands of the Union and Progress Party. God (blessed and exalted be He) has vouchsafed the land an opportunity to rise in revolt, has enabled her by His power and might to seize her independence and crown her efforts with prosperity and victory, even after she was crushed by the maladministration of the Turkish civil and military officials. She stands quite apart and distinct from countries that still groan under the yoke of the Union and Progress Government. She is independent in the fullest sense of the word, freed from the rule of strangers and purged of every foreign influence. Her principles are to defend the faith of Islam, to elevate the Moslem people, to found their conduct on Holy Law, to build up the code of justice on the same foundation in harmony with the principles of religion, to practice its ceremonies in accordance with modern progress, and make a genuine revolution by sparing no pains in spreading education among all classes according to their station and their needs. This is the policy we have undertaken in order to fulfil our religious duty, trusting that all our brother Moslems in the East and West will pursue the same in fulfilment of their duty to us, and so strengthen the bands of the Islamic brotherhood. We raise our hands humbly to the Lord of Lords for the sake of the Prophet of the All-Bountiful King that we may be granted success and guidance in whatsoever is for the good of Islam and the Moslems. We rely upon Almighty God, who is our Sufficiency and the best Defender. This entry was posted on August 13, 2013 by ASFC in Ahmed Amiruddin and tagged Proclamation Caliph independence, Sharif Hussein ibn Ali.